Maybe she got herself some ramen on a cozy, rainy day? Actress Ellen Adarna remains a no-show in the hearing regarding the child abuse case, according to entertainment writer from ABS-CBN, MJ Felipe. However, rumored partner, actor John Lloyd Cruz was seen “attending the preliminary investigation hearing of Ellen Adarna’s child abuse & cybercrime case”. The actor is seen in black, the last person to enter the room. The tweet also indicated that Cruz was accompanied by Adarna’s legal counsel, with the complaining party (the minor’s family) present. A first hearing was supposed to be conducted last June 4 but Adarna was absent. Last May, a 17-year-old explained in her Twitter account how Ellen Adarna accused her of taking photos of her while dining in a restaurant, using the hashtag #PAParazzi (PAP which meant “post a picture”). Adarna’s accusations started when she took photos of the girl and uploaded it on her Instagram story, which caused the 17-year-old to speak of her side. Adarna has responded to the 17-year-old’s tweets and said nothing more after that incident. Photo credits go to Belle Corpus and Ellen Adarna. The minor’s family decided to file a case against the actress after the Adarna failed to respond to the affected party. The minor’s mother wrote an open letter addressing Adarna, asking for a public apology. The hearing is rescheduled once again on the 25th of June, according to MJ Felipe. Disclaimer: WheninManila.com does not own the header image. Credits go to MJ Felipe. ENTERTAINMENT: Ariana Grande is now engaged! 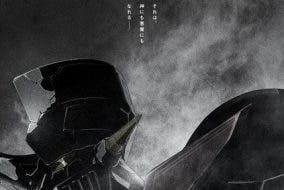 ENTERTAINMENT: Upcoming Mazinger Z Anime Movie Teaser Image is Out! LOOK: This UST Student Looks So Much Like Pia Wurtzbach! !